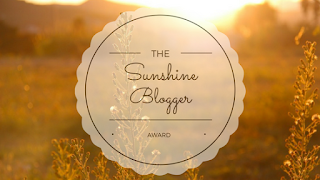 Earlier this month I was nominated for the Sunshine Blogger Award by the lovely Catherine at workingwithbipolar.blogspot.com. Thank you Catherine! I'm so excited to be answering your questions! Definitely check out Catherine's link! Her content is so interesting and informative! 3. Nomiate 11 new blogs to receive the award and write them 11 new questions. 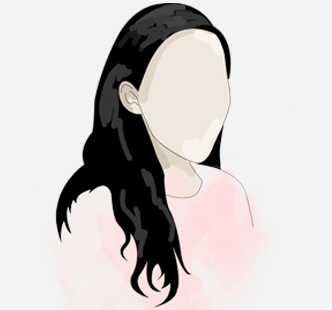 I've been playing my Kpop playlist constantly! Rather than playing a couple of songs on repeat, I just go through the entire playlist from start to finish. Whenever I'm feeling a little under the weather, I like to treat myself to a relaxing evening. I'll take a nice warm bubble bath, get into my comfiest pjs then watch my favourite movie in bed. At the moment, it's probably my phone. I'm on holiday at the moment so it's helping me keep in touch with the people back home. My parents are my heroes. They've done so much for my brothers and I. I look up to them both so much. Any Agatha Christie book. Every time I re-read one of her mysteries, I always pick up on something I missed in a previous reading. I really want to work in advertising. My dream is to see one of my designs on a bus stop or billboard. That would honestly be amazing! 7. What do you do on your down time? Read, blog and scroll through social media. My bullet journal. I like to track my goals and daily productivity in this book. Recording my progress helps me keep motivated. 9. 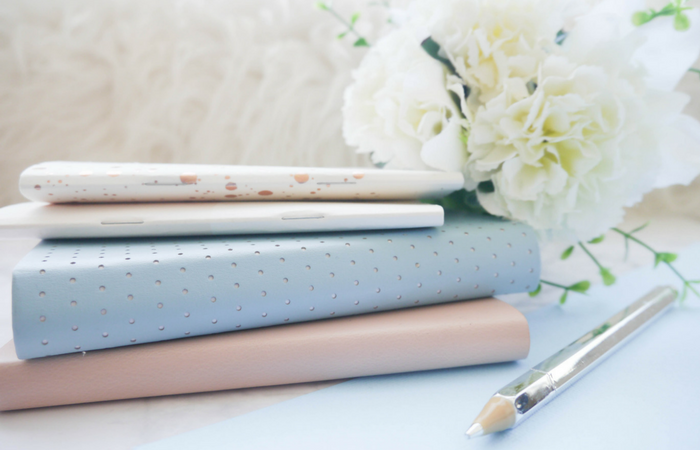 How do you stay organised? Writing lists. This has a similar concept to the above answer. When it comes to completing my tasks/chores, writing them out makes all the difference. Anything to do with memory keeping. Taking photos, collecting keepsakes and journalling are all things I feel very passionate towards. Zaha Hadid. Her buildings are incredible! I've been really into architecture recently and her work is, by far, my favourite! 1. What's your favourite item of clothing in your closet at the moment? 2. Do you like watching tv shows or movies? 3. How do you usually plan your blog posts? 4. What's something you're hoping to learn/accomplish this year? 5. 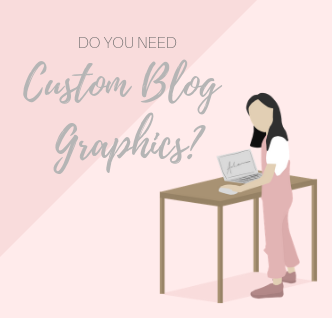 When do you like to write your blog posts? 6. Would you rather swim with sharks or skydive? 7. Do you prefer sweet or savoury food? 8. What's your favourite thing to do with friends? 9. How do you like to spend lazy days at home? 11. If you were to make a movie of your life, what famous person would you get to play you? If you give my questions a go, please let me know as I'd love to read your answers! Thank you once again to Catherine for tagging me! Happy January everyone! Since I'm turning 18 soon, I thought it'd be a good idea to base this month's quiz around birthday celebrations. Everyone has their preferences when it comes to spending their special day and I'm going to see whether or not I can guess yours. All you have to do is grab a piece of paper and for each question, write down the statement that you think fits you the most. Was this quiz accurate or inaccurate? Let me know in the comments below! 1. My favourite type of birthday cake is _________ cake. A) "You don't have to get me anything." C) "Sorry, I can't think of anything off the top of my head." 4. I want my next birthday to be _________ one. A) The sweet birthday messages I receive. B) Making a wish on the birthday candles. C) Being able to choose how I want to spend it. D) Dressing up for the birthday party. A) A couple of days beforehand. B) A week in advance. C) On my birthday eve. D) An exact month before the actual date. A) A couple of years ago. B) When I was 10. C) So long ago I can't really remember. D) For my most recent birthday. 9. I like _________ knowing about your birthday. B) Can't help but laugh. You like to spend your birthday doing something with a small group of friends, whether that be a movie at the cinema, a trip to the local shopping mall or a picnic in the park. It doesn't have to be anything too out of the ordinary, just as long as you have your besties by your side, in your mind it's a birthday well spent. When it comes to celebrating your birthday, family gets top priority. Which is why your favourite way to mark your special day is with a family dinner at your favourite restaurant. Sitting in front of a nice meal, surrounded by your loved ones. You wouldn't have it any other way. You're not a huge fan of birthdays so you prefer to treat your own like it's any other day. The less attention around your birthday the happier you are as birthday celebrations aren't really your thing. You don't mind a slice of cake and a present or two but streamers and party poppers are 100% forbidden. You like to go above and beyond for your special day, hosting a big birthday bash for all to enjoy. You're willing to share your birthday with anyone and everyone so the guest list is always huge. Birthdays are your favourite kind of special occasion and each year strive to make your parties bigger and better. I love photography but am by no means a photography expert. The reason I decided to write this post is because I feel like my confidence behind the camera has grown so much from when I first started blogging to now. In today's post, I'm sharing my four personal tips for blog photography. Here are the things I've learnt through taking my blog photos. Personally, I find less props a lot more manageable to shoot. Especially in terms of composition. Before I even get my camera out I tend to shuffle the props around quite a bit so having less items in the picture means I can be more flexible with my arrangement. If you're like me and are very particular about the layout of a photo, I think it's a good idea to limit yourself to five or six props per frame so you're not wasting time moving a dozen or so items every time you change your mind about a composition. Once I've created a prop layout that I'm happy with, I'll photograph it multiple times, adjusting my camera positioning after each shot. Experiment with different angles by constantly moving around your set up. That way, you're not limiting your photos to one reoccurring perspective Flat lays are known for being a blogger's go-to photograph but that doesn't mean you can't play around with other kind of camera shots as well. Windows are your best friend when it comes to photographing indoors. There's a spot in the house living room that I find myself constantly going back. It gets just the right amount of natural sunlight. When it's hot summer's day, I like to photograph in the late afternoon so the light isn't so intense however if it's cooler outside then I'm more likely to photograph mid day. When it comes to natural lighting, you have to be adaptable. It may not be as predictable as other kind of lighting however it will provide you the best results in the end. When it comes to editing my photos, I like to use Adobe Lightroom to brighten my images and then canva.com to crop them to size. There are an abundance of photo editing apps and websites out there, it shouldn't be too hard finding one that accustoms to your photography needs. If you're not happy with your current editing process, don't be afraid to change it up a bit. You want to find an editing program that is compatible with you and your photography style so if something isn't quite working for you, it may be a good idea to try something new. Thanks so much for reading! 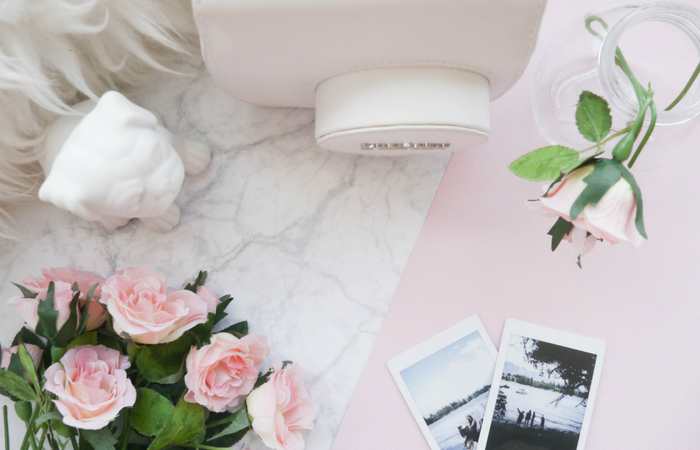 If you have any blog photography tips you'd like to share, feel free to leave them below! Happy New Year! I know it's nearly a week in but I really wanted my first post of 2018 to start the year off right. So I decided on a resolution post! I love the idea of goal setting, especially at the start of a fresh set of 12 months. There's always so much hype around the New Year and I feel like that's what makes these kind of resolutions so special. Amongst the fireworks and the much anticipated countdown, resolutions are just another tradition that make the New Year the celebration that it is. 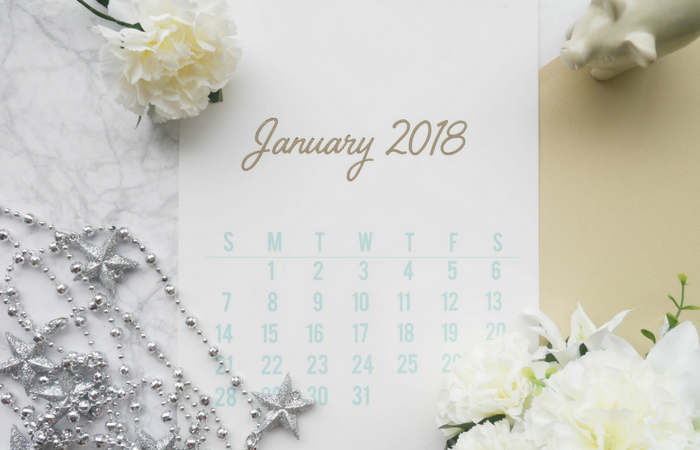 Here are my resolutions for 2018! Let me know if you have any similar! I'm terrible at this. I think the recommended amount is eight glasses a day. I struggle to get through two. I'm trying to keep more hydrated by making sure I have my water bottle with me for every meal but it's definitely something I have to try really hard to remember to do. Water is so important and I know that if I start drinking more daily, I'd really benefit from it. Last year, I went for my restricted twice and didn't pass both. I was so disheartened the second time, I put off driving for weeks after. When I finally got back on the road, I felt like I was just starting out again. I suddenly had that same fear I felt when first learning to drive. Since I've managed to overcome that, I'm intent on getting my restricted sometime this year. I'm also hoping to get a couple of lessons so I can really refine my driving ability. At the end of 2017, I bought a Leuchtturm1917 journal and since the first of this month, I've been using it constantly. This is my first proper bullet journal and while I'm very invested in it at this moment in time, I'm worried I'll lose some of that consistency later on. My aim for the end of this year is to have a full and thorough journal to look back on 2018 with. I'm ashamed to say it, but I've never cooked a proper meal before. Which also means that I don't know how to cook. I've helped my Mum in the kitchen but I've never actually conjured something up myself. Most people my age have already mastered this skill therefore I'm determined to perfect a couple of recipes by the end of this year. I've never used the schedule tool on Blogger because I've never written a post in advance. I always write my posts the day of or the day before publishing. The same goes with taking my photos. 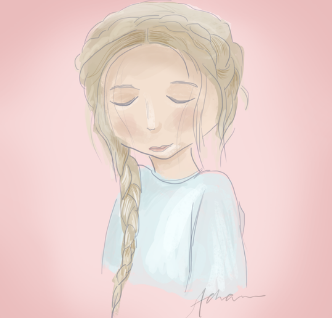 I really want to be more organised with my posts so I'm not so pressed for time at the end of every week. 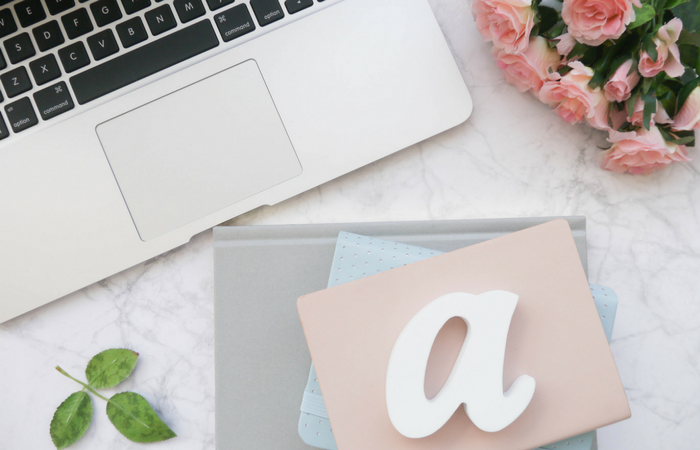 Since starting my blog I've chatted to so many different bloggers. And it's all thanks to social media. In saying this though, I still don't think I take complete advantage of this online connectivity and I go through periods of completely neglecting these social accounts. I really want to be more consistent with my shares and posts and make more of an effort to be present online.